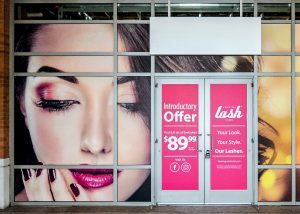 Attract, educate, and excite potential new customers with eye-catching window graphics displaying your newest and best merchandise or solutions. If you are offering special services, you desire to provide privacy to your guests inside your facilities, or just want to alert your future consumers about why they should come inside, attractive window signs and graphics get your brand seen and recalled. Digital Print & Sign is your leading community vinyl window graphics provider, generating eye-catching window graphics, signs, clings, and displays that effectively builds your brand and business visibility. Digital Print & Sign manufactures eye-catching, engaging window lettering, graphics, and wraps for enhanced brand awareness. 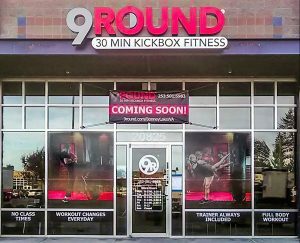 Our knowledgeable vinyl sign designers will produce specialty window graphics that are complementary to your existing branding efforts, support your marketing objectives, and ultimately attract more customers and prospects in the door. Our team of experts work hard to generate the right sign and graphics products to support your business promotion efforts. We learn about your brand in order to make well-informed recommendations for signs and graphics that you are proud to display. Our experienced professionals are excited to reinforce your business goals with promotional window graphics, wraps, banners, signs, lettering, and more. It’s no secret retailers spend a lot of energy and time on designing their promotional and seasonal window displays. A striking window display is developed to pull engaged future buyers into your shop. If you are marketing a special promotion, sale, or event, or wish to enhance sales related to a new, hot item, branded window displays are an excellent way to do this. Ordinarily, promotional window displays are upgraded with the seasons to show off the hottest, newest merchandise you can provide. Digital Print & Sign is excited to offer intriguing window signs, graphics, and full displays to showcase your special events and sales and relevant products in an engaging way intended to pull in more people. Business offices, like service professionals, real estate agents, insurance brokers, law firms, counselors and therapists, and many other business categories, make use of specialty vinyl window film on their outside windows for promotion, privacy, or branding purposes. Our dedicated staff of professionals produce privacy film that offers the same visual appeal as an etched or frosted glass window, devoid of the high price and hassle of replacement glass. 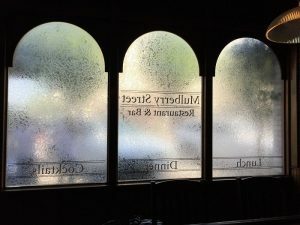 A number of professionals decide to have the logo, business name, or other specific messages or information added in their window privacy film for improved foot traffic and brand awareness. Our team of sign and graphics professionals will make unique privacy film crafted for your business and clientele, or deliver examples of commonly used vinyl film choices that will support your goals. Even a service provider can attract more potential clients with an eye-catching, branded window display! Put your windows to work for you with custom graphics, banners, lettering, posters, or murals showcasing your specific services, specific deals, or even integrate an eye-catching and informative custom window display that showcases what you have to offer. 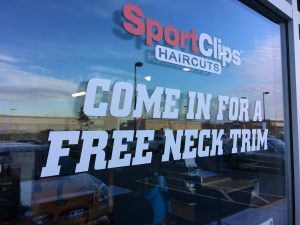 Our skilled signs and graphics designers consider your unique business goals to produce the right display that you desire. We manage custom display fabrication and installation of your eye-catching custom signs and graphics. If you are ready to grow your brand presence, Digital Print & Sign delivers. Call Digital Print & Sign today at (417) 323-6919 for your Free Consultation with a Window Graphics Specialist!